The journal bearings are one of the main components of the rotating machines and always bear considerable weight and dynamic stresses. Bearing defect may cause bending and eventually axis fracture and, in some cases, lead to an increase in the temperature of other components. One of the most important challenges of this type of bearings is the instability of the oil film layer, which appears as oil whirl and oil whip. The main objective of this research is the numerical analysis of the journal bearing of a centrifugal pump and the investigation of variations in the eccentricity and the rotation of the bearing to detect the instability resulting from the oil whirl and whip. For this purpose, assuming the steady and laminar flow, the Reynolds theory modified by the Elrod–Adams cavitation model is utilized. In addition, the finite element method is used for the numerical solution. 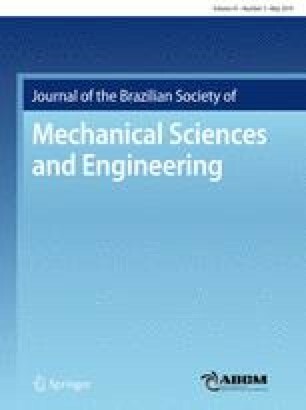 The results indicate that the pressure on the bearing shell increases considering the effect of the oil whip phenomenon. Moreover, by increasing the eccentricity ratio, the pressure applied to the bearing increases and the mass fraction of the oil film decreases. After that, in order to improve the performance, by creating a horizontal groove in a simple bearing (without groove), the oil whirl and whip are numerically analyzed and the effect of the eccentricity as well as the rotational speed of the modified bearing is investigated. Numerical results indicate that the presence of the groove in the bearings causes the pressure on the grooved bearings to decrease dramatically. As a result, the probability of occurrence of the oil instability phenomenon in this case will be less than simple state (no groove). In addition, in this case, it could be observed that as the rotational speed of the grooved bearing increased, the pressure applied around the groove bearing from the oil film increases. However, the pressure applied to the grooved bearings is much less than the pressure applied to the simple bearings.